I think it's important to remember that the Major League Baseball Players Association has always wanted a market-based system. And, markets change. Particularly when the institution changes those markets. We had a lot of change in the game. People think about players differently. They analyze players differently. They negotiate differently. Agents negotiate differently. … I do not know that payroll is a good measure for how much a team is trying or how successful that team is going to be. Players' eyes do not deceive them, nor do fans. As players report to training and see respected veterans and valued teammates on the sidelines, they are rightfully frustrated by a two-year attack on free agency. Players commit to compete every pitch of every at bat, and every inning of every game. Yet we are operating in an environment in which an increasing number of clubs appear to make little effort to improve their rosters, compete for the championship or justify the price of a ticket. There is obviously some underlying disagreement as to just what it means for a team to be "trying" in this day and age. There's no denying Manfred's point that the market is shifting, though of course it's anything but an unregulated arena. Teams are responding to the incentives established in the collective bargaining process, and doing so with ever more attention to economic rationality. Setting up a potentially expansive contention window in efficiently, though, often means sacrificing near-term improvements for longer-term flexibility. And there is surely a reasonable argument to be made that many teams aren't "trying" – at least, aren't doing so as much as might be preferable from the perspective of creating a competitive and entertaining product. any event, this is just the latest exchange of words in the still-evolving battle over team spending on player contracts. 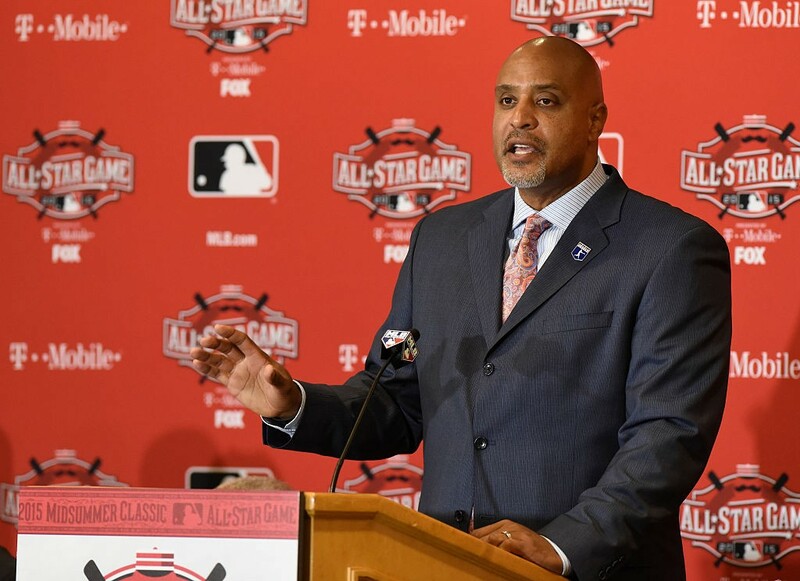 Clark indicated that the players are still amenable to engaging in talks regarding several proposed rule changes, although the league's position seems to be that the union's efforts should not be entertained until it's time to discuss a new collective bargaining agreement. For the time being, then, both sides are jockeying for position in the realms of both public perception and their own direct constituencies.